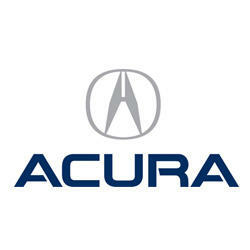 Acura Express Service in Greensburg, PA.
Service delivered with the quality, convenience and value you deserve! Smail Acura Express service is performed by Acura trained technicians in a timely manner to fit YOUR busy schedule. Smail Acura Express will provide you with the same outstanding service that all Smail Acura customers have come to expect and deserve. Performed in a time frame that fits your lifestyle. Smail Acura Express service will be performed by trained Acura technicians with special tools and equipment that allow us to service your vehicle quicker and more efficiently. No Appointment Necessary. Just pull into our service drive and ask our valet for an Express service. He will be happy to assist you. While you wait in our comfortable customer Lounge we will provide a variety of complimentary snacks and beverages, WIFI, TV, Phone Charging stations, also quiet area and status updates about your vehicle progress. Smail Acura Express will include a complimentary multipoint inspection on all vehicles. Services that may be performed include: Oil and filter change. Tire Rotation. Air filter. Pollen filter. Battery. Wiper inserts. And all of our Recommended A B and C services.